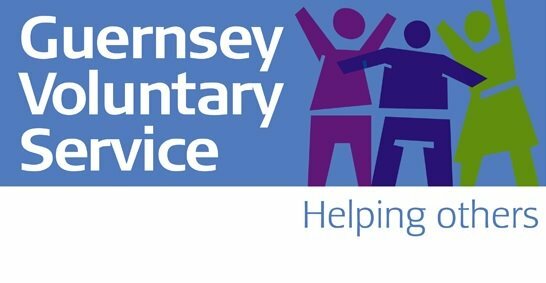 The Guernsey Voluntary Service is committed to being the premier provider of support and assistance to the community wherever the need arises. This is primarily through the Day Centres at Jubilee Day Centre and The Russels, Parish Social Clubs for retired people, distribution of Meals on Wheels, Trolley Shop at Le Grand Courtil and a blood donor calling service at the PEH. The GVS is a company limited by guarantee. Company Registration 33470. I The GVS Manager is appointed by the Board of Directors and is responsible to them for the efficient running of the Guernsey service. In addition there are eight part-time paid members of staff; the Day Centre Manager and her assistant are responsible for the running of the Jubilee Day Centre, and the Administrator is responsible for the office and accounting matters. Team Leaders organise the various voluntary activities. The GVS receives a grant from the States of Guernsey but still has to raise a considerable sum through charges, donations and fundraising events to meet other running costs. The cost of a 100 Club ticket is only £5 per month (annual cost of £60) and there is a monthly draw on the 15th of each month. All proceeds from the GVS 100 Club, after payment of prizes, goes towards the running costs of GVS. As you may be aware, we have to raise approximately £35,000 per annum to be able to offer our all of our current services including Meals on Wheels in Guernsey and Alderney, The Jubilee and Russels Day Centres, Blood Donor calling at the Princess Elizabeth Hospital, The Darby and Joan Clubs in Guernsey and Alderney, GVS Good Companions and much more. Tickets can be bought by filling in the application form and there is no limit to the number of tickets you can buy although one application form is required for each ticket. You can also buy a ticket as a gift for someone else (providing they are over the age of 16) – perhaps as a Christmas present giving them the chance of winning cash prizes? Payment can only be made by annual or monthly standing order and must be for a minimum of a 12 month period. Cash prizes will be paid out monthly. Forms and the full rules can be obtained by:- •	downloading from our website www.gvs.org.gg or •	sending an e mail to 100club@gvs.org.gg or •	calling us on 247518. We know that many people would like to help GVS but are not in a position to volunteer for whatever reason. Others would like to support us because we have helped them, their friends or relatives in the past. If you know of anyone who would be happy to support us by buying a ticket perhaps you could encourage them to join our club! We hope you feel able to support the GVS 100 Club. GOOD LUCK! We always need drivers for a Meals on Wheels Round or on a relief basis. Please get in touch if you can help. Volunteers needed for hairdressing at our two day centres - Jubilee in St Sampsons and the Russels in St Martins. GVS has 3 minibuses to transport clients to our two day centres. We are looking for drivers, specifically those with a current D1 licence.